Salmon fishing on the Skeena! I realise I have been away for quite some time now. My excuse: well, seeing as my wonderful mum has now gone back to India, I am now working a full time job and being a full-time mum myself. Thus: What time? 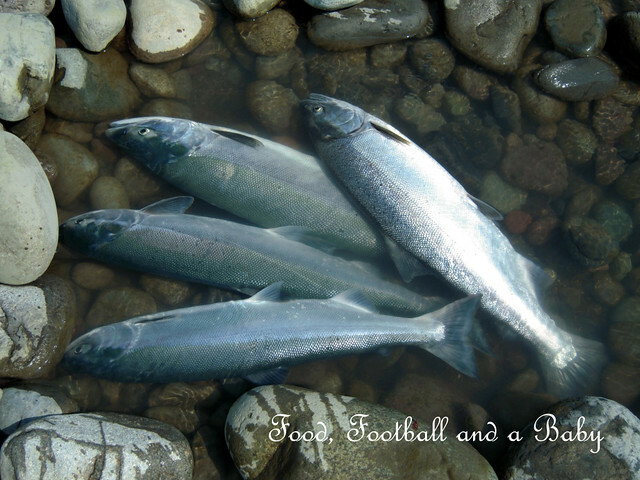 We have also been to the wilds of Canada, with a lot of fishing thrown in, which gave me the idea of a river to plate theme for my come-back post. Anyway, this post will document the easiest, yet the tastiest recipe ever. 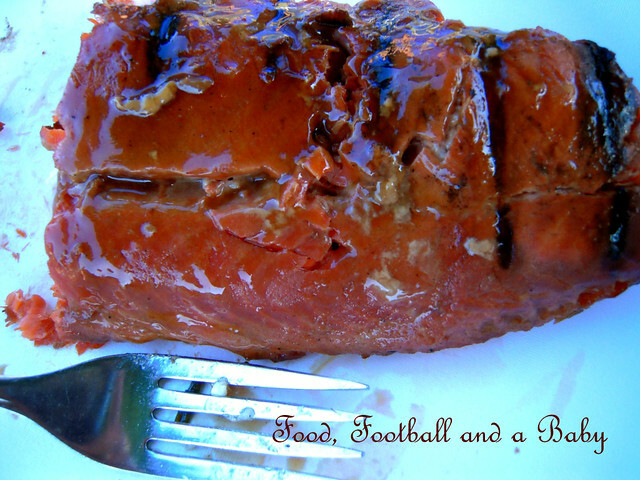 Plus, its got some memories for me, as we had this barbequed salmon at our wedding three years ago. Its my brother-in-law's recipe, and he was the chef that lovely summer's day at the wedding. He and his lovely wife catch the fish themselves, so it was a real treat this summer to be taken out fishing by them. Though the 'bash the fish on the head' bit wasn't very nice... but hey it needed to be done, otherwise we would have lost them to the river again! Mix together the soya sauce, sugar and cider/ wine/ sprite into a marinade. Lay the filleted fish in a shallow bowl, and pour over the marinade. Coat well, then turn the fillets so they are skin side up. Marinate for a few hours (more the merrier). Lay the fish with the skin side up on the barbeque with th heat up high for 3 - 4 minutes until the grill marks form on the fillet. Turn it, so that the skin side is now down, and barbeque on low until the fish is done and flakes easily. Keep brushing with the glaze every so often. Lift the fish off the grill, leaving the skin behind. The skin should come off easily, and will clean off once the grill is cool. Another salmon recipe coming up after this one, so keep an eye out!